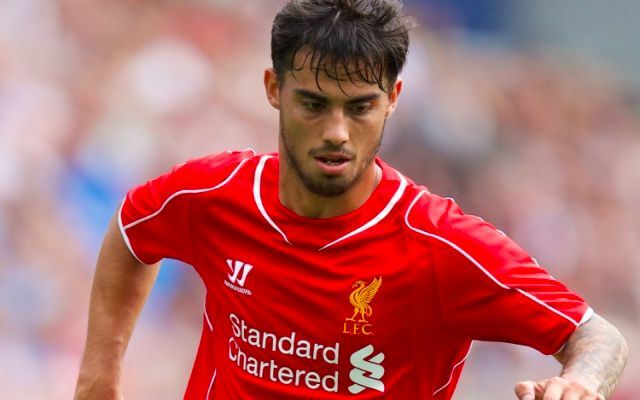 Suso admits his time at Liverpool helped him develop as a footballer on his way towards emerging as one of Europe’s top technicians. The Spaniard left Merseyside to join AC Milan on a permanent deal in 2015 having struggled for senior minutes following his rise through the youth ranks. His departure marked something of a subdued ending to his spell with the Reds after he had surfaced as one of the most exciting attacking talents within the club’s academy setup. After getting a taste of senior football during a season-long loan with Spanish side Almeria across 2013/2014, he later opted to sign for Milan for the good of his career. He now finds himself as the joint-top assist-maker across Europe’s top five leagues, with both he and Borussia Dortmund’s Jadon Sancho boasting a tally of six. Suso’s most productive season for the Reds came in 2012/2013, when he made 20 appearances across all competitions under Brendan Rodgers. He would go on to make just one more senior outing for the club as he saw his opportunities severely limited by the form of Philippe Coutinho. His success away from England has since proven an excellent advert for the value of young prospects taking their careers abroad. The 24-year-old earned his maiden call-up to the senior Spain squad in August 2017, before finally making his debut against Russia in November that year. His latest cap arrived on Thursday as he started in Spain’s 4-1 win over Wales at the Millennium Stadium. Next up for the playmaker could be an opportunity to face England in Monday’s UEFA Nations League clash.